Officer Mike Decker has strict rules when it comes to women and dating, but what is it about Jade Murphy that makes him break every single one? Decker is particular and prefers to take things slow where relationships are concerned. Rules and structure keep him safe on his job and in his personal life. Jade has been focusing on her new business, White Magic, a metaphysical healing center. The young widow hasn’t thought much about dating. When Jade literally runs into Decker in front of a local coffee shop, neither one has any idea that their meeting will draw in a powerful demon connected to a forgotten family curse that goes back to ancient Ireland. Together, they must try to find a way to defeat the demon. 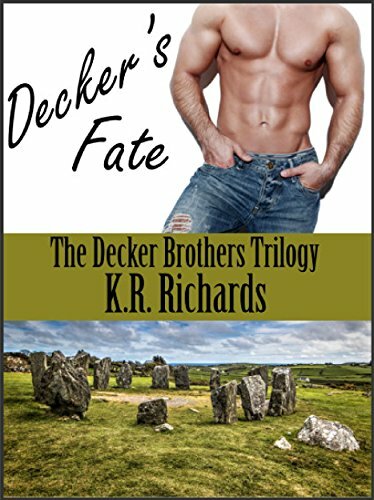 The post <p style="text-align:center;font-weight:bold;">“With a bit of magic and some paranormal energy, K. R. Richards has written an amazing story of an ancient curse and the modern day brothers who must destroy the evil that’s pursuing them.”<br /><em>Decker’s Fate (The Decker Brothers Trilogy Book 1)</em> by K. R. Richards</p> appeared first on Kindle Fire on Kindle Nation Daily.